Apple’s approach to iPads and iPhones may dramatically change how we shop for Macs in the future. There’s been a lot written about the potential merging together of the software that runs (and runs on) the Mac and the iPad. 2019 is shaping up to be a huge year, as Apple’s devices get closer together than they’ve ever been before. But while the focus on Apple’s smooshing together of its platforms has been primarily about the software (iOS apps running on the Mac) and hardware (the potential of future Macs running Apple-designed ARM processors), the new MacBook Air got me thinking about another way Apple’s approach to iPads and iPhones may dramatically change how we shop for Macs in the future. The new $1,199 base-model MacBook Air comes with a 1.6GHz dual-core Core i5 processor with Turbo Boost up to 3.6GHz. If you max out all of its specs, on the other hand, you’ll walk away with a $2,600 computer… with the very same 1.6GHz processor. Apple will let you expand storage (to 1.5TB) and memory (to 16GB), but the processor you get is the processor you get. iPads don't have processor upgrade options. 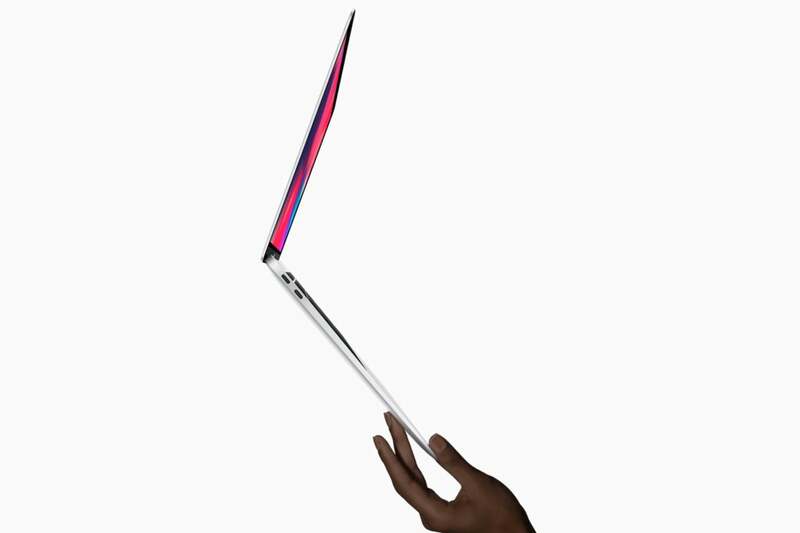 Neither does the new MacBook Air. On every other Mac model Apple sells—even the 12-inch MacBook!—you can choose from different processor options. (Okay, on the base-model non-retina 21.5-inch iMac you can’t, but there are other 21.5-inch iMacs available.) In contrast, Apple doesn’t sell different versions of the same product with different processors anywhere else in its product line. The new iPad Pro comes in a single processor option, the A12X. 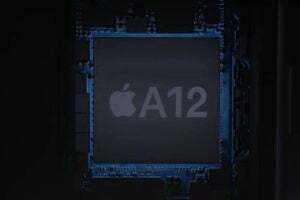 The iPhone XR and XS are powered by the A12. That’s it. And it got me thinking: This feels like the future of the Mac, certainly on the consumer end of the product line. With the new MacBook Air, Apple has picked a processor and stuck with it. Would any of us be surprised if it did the same with a future update to the MacBook? Or low-end iMacs? Looking a bit further into the future, if Apple starts building Macs with ARM processors, is it going to want to offer different classes of processors within those models? On iOS, Apple has steadfastly refused to do this. Every model-year of a given model is generally powered by the same processor across the board. It’s conceivable that Apple might roll out a new ARM processor across several Macs and have each one have a different clock speed or number of cores—but even then, I have a hard time imagining that Apple will let customers configure what processor goes in what Mac when they order them. It seems more likely that Apple will offer what it feels is the right processor configuration for a model—and if you want a more powerful processor, your option will be to buy the next model up. It’s an open question about how Apple will approach this for professional Macs. As long as Intel is Apple’s chip supplier and Intel is offering a variety of different, compatible chips, Apple will almost certainly keep offering choice. But the moment that ARM enters the picture, all bets are off. On the iOS side, buyers are given very limited options for customization. The primary differentiators are storage and screen size. (Other than screen size, the two iPhone XS models and two iPad Pro models are identical.) On the iPad, you can also add cellular connectivity for an extra fee—and while I’d be thrilled if a move to ARM processors coincided with Apple making a cellular-capable Mac laptop for the first time, I’m not holding my breath. 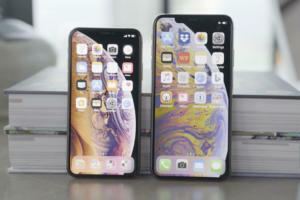 Except for size, the iPhone XS and iPhone XS Max are the same phone. There can be some variation in RAM on iOS devices—the new iPad Pro models have 6GB of RAM, rather than 4GB, if you order them with 1TB of storage. But Apple doesn’t talk about it or market it, and unless you read sites like this one you’d never know. As with processor, RAM feels like a configuration option that might very well disappear when Apple makes the move to ARM. Instead, Apple will pick a RAM configuration that feels right for a given product, and stick with it. What does shopping for a Mac look like if all you can choose is how much storage and how big your display is? A lot like shopping for an iPad. That’s not necessarily a bad thing, especially when you consider that Apple is currently making six different laptop models. Even if it cuts that number down a bit, it’s quite likely that the company will offer choices. Even if the MacBook Pro were to end up with an ARM processor, I’d imagine that Apple will do what it does now—namely offer a few different variations with a mix of features at various price points. You may not be able to configure a faster processor in a future ARM MacBook Pro, but Apple may just offer a faster model for a higher price. Is the MacBook Air’s single processor option the future of the Mac? I’m not sure even Apple knows for sure—after all, it sure feels like Apple wasn’t even planning on bringing the the MacBook Air back before a year or two ago. But if I had to guess, I’d predict that the days of configuring which processor you want in your new Mac are numbered.